2 central defenders can drop into the shaded area to get the ball. They can only bring ball out or pass in to a black from this area. When the come out they must look to pass forward between the lines to a red. Defending players must stop the forward pass. 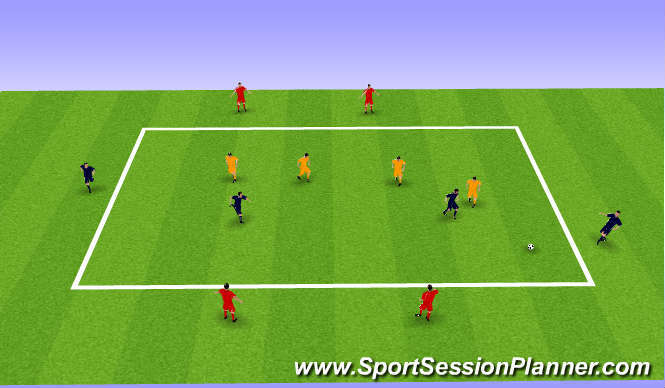 2 central midfield players must work the ball through to the players at the opposite end. 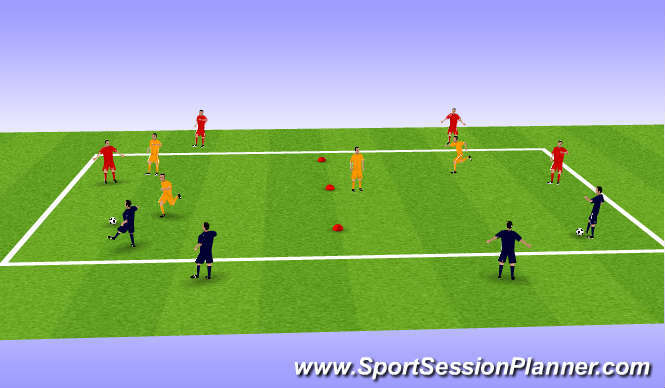 Try to make the players play 2 touch. end men act as 2 midfield players supporting. other end men act as a target. 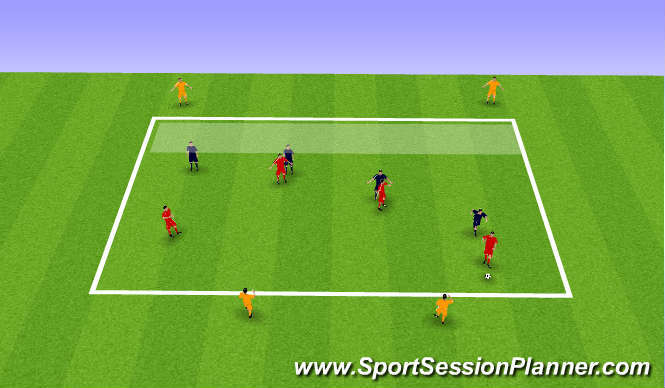 Attackers can only score when they pass the ball into an end man in the attacking shaded area. 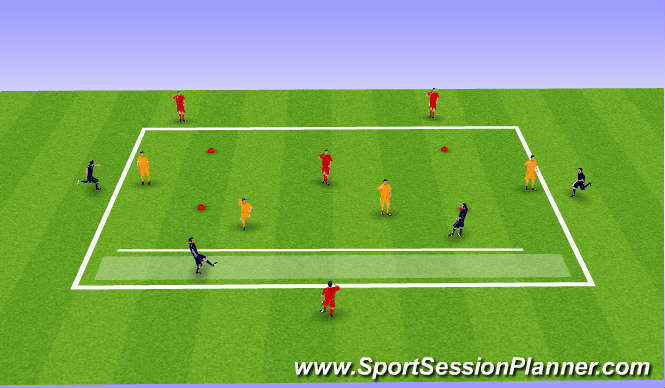 Get full backs to move and try to play the ball forward to the men in red. Gold players try to stop.